ATOTONILCO EL ALTO, Jalisco, Mexico - Spicy and sweet has long been a staple of Mexican cuisine, and increasingly this exciting culinary trend has found its way into food and drink across the globe. Recognizing this growing enthusiasm for intense taste and flavor, Patrón Spirits has introduced Patrón XO Cafe Incendio, an innovative fiery-hot chile chocolate liqueur. Patrón XO Cafe Incendio combines the spicy, distinctive flavor of Mexican arbol chile with the rich, decadent essence of Criollo chocolate, brought together with the crisp, smooth taste of Patrón Silver tequila. The Chile de arbol is a small and slender Mexican pepper typically found in the states of Jalisco, Chihuahua and Zacatecas. Thought to be derived from the cayenne pepper, arbol chile is characterized by its smoky and spicy complex flavor, and is the main component in many hot sauces. The high-quality Criollo variety chocolate in Patrón XO Cafe Incendio is produced in Mexico’s Tabasco region. Perfect as a shot, or as the base for a high quality cocktail, Patrón XO Cafe Incendio is distilled at 30 percent alcohol by volume, 60 proof. Produced and bottled at the Hacienda Patrón distillery in the highlands of Jalisco, Mexico, Patrón XO Cafe Incendio is handcrafted with the same attention to detail and quality as all Patrón tequilas and liqueurs. It is available in 50ml, 375ml and 750ml sizes and packaged in the eye-catching handmade Patrón XO Cafe glass bottle, a frosted version of the iconic cork-closed Patrón tequila bottle. The red, yellow and black label features imagery evocative of smoke and fire. 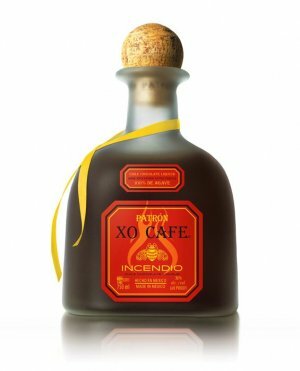 To learn more about Patrón XO Cafe Incendio, please visit www.patrontequila.com/xocafe. Patrón’s portfolio of ultra-premium luxury spirits are available in more than 140 countries across the globe. The company’s flagship brand, Patrón tequila, is handcrafted with unparalleled attention to sophistication and detail from the highest-quality Weber Blue Agave plants. 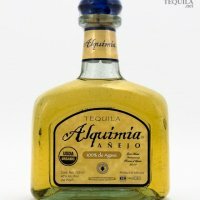 Tequilas in the Patrón portfolio consist of Gran Patrón Burdeos, Gran Patrón Piedra, Gran Patrón Platinum, Roca Patrón Silver, Roca Patrón Reposado, Roca Patrón Añejo, Patrón Silver, Patrón Reposado, and Patrón Añejo. In addition to Patrón XO Cafe, Patrón XO Cafe Dark Cocoa and Patrón XO Cafe Incendio, the company also produces Patrón Citrónge (extra fine liqueurs), as well as Pyrat Caribbean rums, and Ultimat vodka. For more information, please visit www.patronspirits.com.